Here it is! 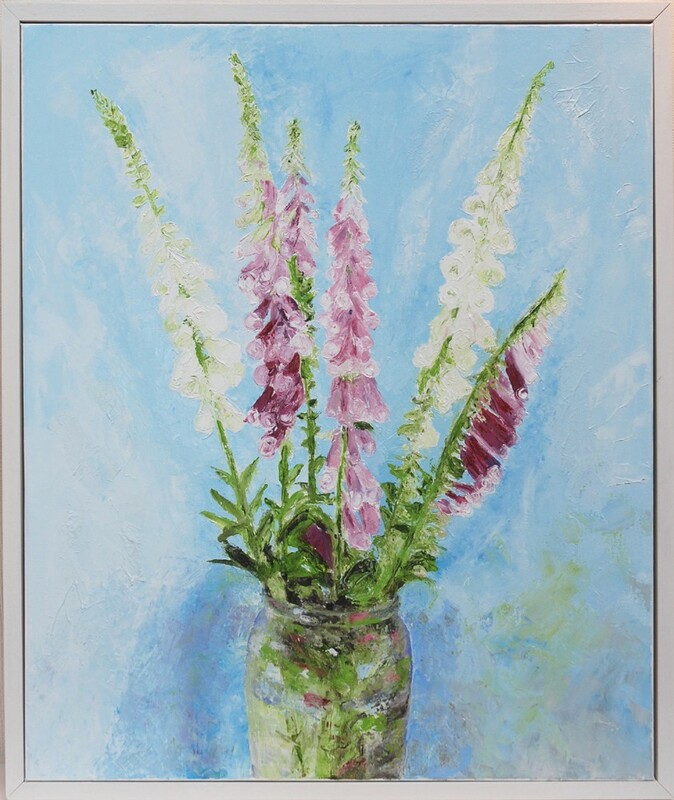 Foxgloves are completed, framed and ready for exhibiting. For information on size and price visit the floral section of my website and click on the thumb nail. 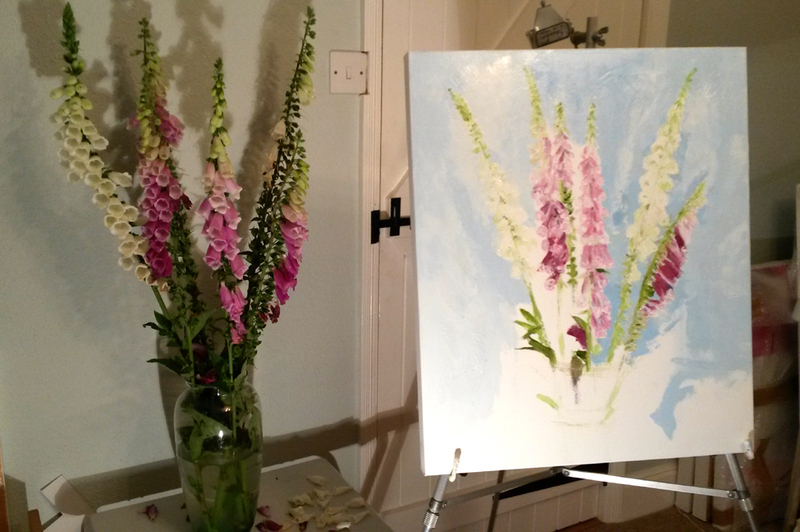 I allowed time for the initial layers of oil paint on the petals to dry across the summer which resulted in the final detail stages of the vase and background being easier to add. Here are a few ‘stages’ photos originally posted in June.